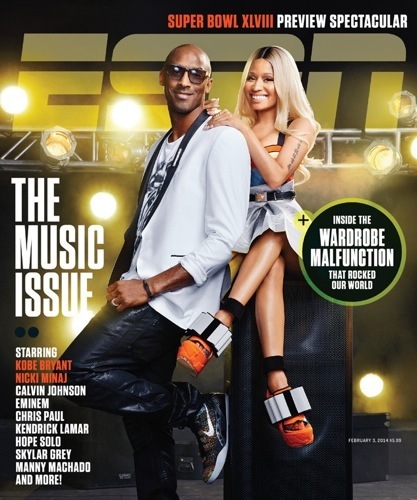 Seems like ESPN pissed the Young Money Rapper off with the edits to he photos for he cover shoot w/ Kobe. She took to her Instagram page to complain about the edits and post the bottom two photos from the shoot. Look at her nose and forehead and let us know what you think.